Consume few drops of Lime juice mixed with water and honey, every morning, on an empty stomach. Eat 1 tomato everyday before your breakfast for two months. Boil 2-3 teaspoons of dandelion root in a cup of water for fifteen minutes. Dink 3 times a day. Drink up to 3 cups of chinese green tea daily. This is effective in getting rid of fat. Daily in the morning 1/2 hour before breakfast on an empty stomach and at night before sleeping, drink honey and cinnamon powder boiled in one cup water. 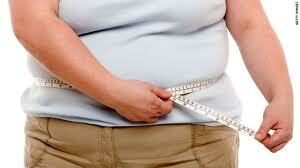 If taken regularly it reduces the weight of even the most obese person. Also drinking of this mixture regularly does not allow the fat to accumulate in the body even though the person may eat a high calorie diet.